Britain’s Got Talent Judges at Barleylands! Do you recognise Barleylands’ latest scarecrow creations? 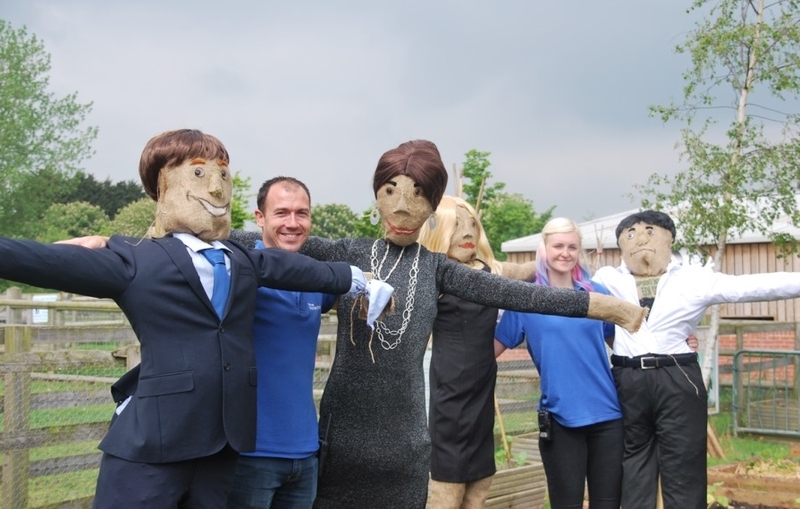 Scarecrows Cowell, Holden, Dixon and Walliams have been recreated as stuffed straw figures by Farm Park Manager Farmer Finkle! They won’t be the only judges at the Farm Park’s this half term either. As part of Farmers Week visitors can make their own scarecrow to win daily prizes! They just need to bring their creation an outfit (everything else is provided). From 30th May to 3rd June visitors will be able to take part in extra farming activities which, as well as Scarecrow making, include taking a ride in a mini Land Rover, bottle feeding lambs and extra animal activities. Another exciting development just for half term are pint-sized mini Land Rovers where children aged 3 to 14 years old can take to the wheel and drive around a small course. Plus, as always there’ll be birds of prey displays, Lamb National sheep races, tractor & trailer rides and interactive reptile sessions. Barleylands is located in Billericay and combines an award winning Farm Park, shops and studios of The Village, bi-monthly Farmers Market, Tiptree Tea Room & Pantry and the Magic Mushroom Restaurant.